The Free State provincial government maintains constructive relationships with various international partners across the various functional areas of government. The Intergovernmental Relations Unit (Department of the Premier) is responsible to ensure the coordination, maintenance and advancement of these relations within the broader policy framework and context determined by the Department of International Relations and Cooperation (DIRCO). Steady progress has been made in the realisation of the objectives of the Provincial Government in the international arena.The Premier and Members of the Executive Council have had interactions with a number of Diplomats and Foreign Representatives accredited to South Africa. These were inter alia, Ambassadors/ High Commissioners of Developed Countries; Developing Countries including those from the Continent. These meetings, together with the international visits undertaken by the Premier and respective MECs, served to elevate the Province’s standing in the international community. The interactions offered the opportunity to renew existing relations, explore new opportunities and to attract critical trade and investment for the Free State Province. It also increased the scopeof the international promotion of the Province. The Chief-Directorate Co-operative Governance has played a key role in the quest to expand the scope and activities of the Provincial Government in servicing, strengthening and sustaining existing international relations (with inter alia, Peoples Republic of China; Belgium, Cuba), and the establishment of new relations. The People’s Republic of China is one of the members of the BRICS countries. Constructive engagement with various provinces in the People’s Republic of China has been unfolding over the past few years. Premier Ace Magashule led a delegation from the Free State province on a visit to the People’s Republic of China during 2010. The Free State Province and counterpart provinces in the People’s Republic of China (Shaanxi; Jiangxi; Jiangsu; Ahnui amongst others), concluded Friendship Relationship Province-to-province agreements that provide for exchanges and cooperation in the fields of, inter alia, economy, trade, science and technology, culture, education, sports and health to promote common prosperity and development. The Jiangxi Province also concluded the award of two Jasmine Scholarships for students from the Free State to pursue advanced studies in Agriculture at Chinese universities. The first two Free State students are Mr. Pule Samuel Tau who will do a 4 year Undergraduate BSc Degree in Agriculture, specializing in Regional Development in Rural Areas, and Ms. Mamotshewa Leburu who will read for a 3 year Post Graduate Msc Degree in Agriculture, specializing in Crop Genetic and Breeding. These students will complete their studies in 2017 and 2016 respectively. The People’s Republic of China donated approximately R45 millionto the Republic of South Africa for the construction of the Agricultural Technology (Fish Hatchery) Demonstration Centre. This project constitutes the mainstream of aquaculture development in the province. 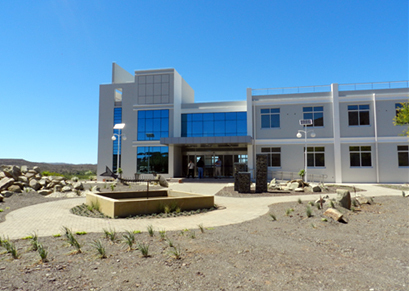 Final construction of the project has been completed and the Centre is expected to be fully operational during the 2012/2013 financial year in terms of training, breeding and research. To ensure that the Xhariep Fish Hatchery fulfill its mandate effectively the department has initiated the process of implementing 39 fish tanks for production of fingerlings in the following towns; Springfontein (13), Koffiefontein (Gotswametsing) (13) and Bethulie (13). Additional benefits of the project includes that the local food structure will be enriched and will help alleviate poverty in local areas. More employment opportunities will be created and local economic growth and development will be stimulated. The sustainable development of this project could also create more opportunities of creation between the Free State and the People’s Republic of China. The Free State provincial government participates in the SA-Cuba Health Cooperation Agreement. This programme was conceived in the mid-1990`s and forms part of the South African government’s drive to address the critical shortage of medical doctors in the country, particularly in the public health sector. One of the main draw cards of Cuba’s approach is its achievements in primary healthcare and proactive disease prevention in a country with a large rural population. The cooperation in the health field between South Africa and Cuba included sending young aspirant students from poor communities for medical training in Cuban universities. The training of South African medical students in Cuba continues to date. The Free State province has sent the first group of ten students to Cuba who commenced their studies in September 2012. These students were accompanied by Premier Ace Magashule and MEC Mamiki Qabathe (Economic Development, Tourism and Environmental Affairs) to Cuba. The Free State provincial government will further send a group of 200 medical students from the Free State to Cuba during October/ November 2012 to pursue their medical studies at various Cuban universities. All the students were primarily selected from the small, rural towns across the Free State and it is expected that upon qualification, these students will return to their respective communities. It is anticipated that the Free State provincial government could increase the number of participants in this programme during the forthcoming years to alleviate the shortage of Health Professionals in the province in particular and South Africa in general. “Nurturing SMEs, Creating jobs, Protecting People!” This goal is at the heart of the Free State SME Development Initiative, which is a 3 year technical cooperation programme that runs until mid-2014. The SME Initiative supports the government of South Africa and the provincial government of the Free State in meeting its priorities towards broad-based wealth creation and decent work through Small and Medium Enterprise (SME) development. With initial funding made available by the Flanders International Cooperation Agency (FICA) to the International Labour Organization the initiative is a partnership between the Department for Economic Development, Tourism and Environmental Affairs (DETEA), Mangaung Metro Municipality and the Municipality of Matjhabeng. Employers’ organizations such as Mangaung/Bloemfontein Chamber of Commerce and Industry (M/BCCI), the Afrikaans HandelsInstituut (AHI) and the National African Federation of Chambers of Commerce (NAFCO) are key private sector partners representing the voice of SMEs in the province. Partnerships are being established with education authorities and with financial and non-financial Business Development Service (BDS) providers in the province. The University of the Free State (UFS) is a valuable research partner. The Initiative seeks to strengthen the capacity of provincial and municipal authorities as well as private sector and civil society to create more and better jobs through SME development. The goal is to support 2’000 SMEs and to create 5’000 decent jobs. In pursuit of the province’s international co-operation, various delegations from the Free State province participated in a number of international engagements including but not limited to the 16th Trade and Investment Forum in Shaanxi Province, Peoples Republic of China; during April 2012; XIX International Aids Conference, Washington, USA; World Urban Platform Conference, Naples, Italy. Further, various Free State departments and para-statals such as the Free State Tourism Authority, and the Free State Development Corporation, also embarked on international engagements with co-operating partner countries such as inter alia, the Netherlands (marketing the province at the Vakautiebeurs Consumer Trade Fair); India (to study new technologies and engage in rural development trajectory); Germany (market the province at the International Tourism Business); Cuba (to support the re-establishment of the Training of Free State students in Medicine); Germany (to learn best-practice in terms of sport and sport formations); and Zimbabwe (to gain insight into the organizational arrangements in respect of Teacher Education and professional development practices in Mathematics, Science, and Education). This has put the Free State on par to establish a Teacher Development Unit as part of the province’s strategy to improve teacher capacity and practice. These engagements illustrate the on-going relationship between the Free State and its International Co-operating Partners in the developed and developing world.